We are delighted to announce the launch of three new leadership development programs in 2019 to complement our already extensive portfolio of more than 20 high-quality professional learning programs for educators in government and non-government schools and sectors in Queensland and across Australia. The new programs ̶ Professional Certificate in Instructional Leadership, Practitioner Research Program and The Impact Cycle ̶ involve collaborations with nationally and internationally recognised educators including Professor John Hattie and Professor Stephen Dinham, Melbourne Graduate School of Education, University of Melbourne; Dr Jim Knight, the Instructional Coaching Group and Growth Coaching International (GCI); and Dr Annette Hilton and Dr Geoff Hilton. 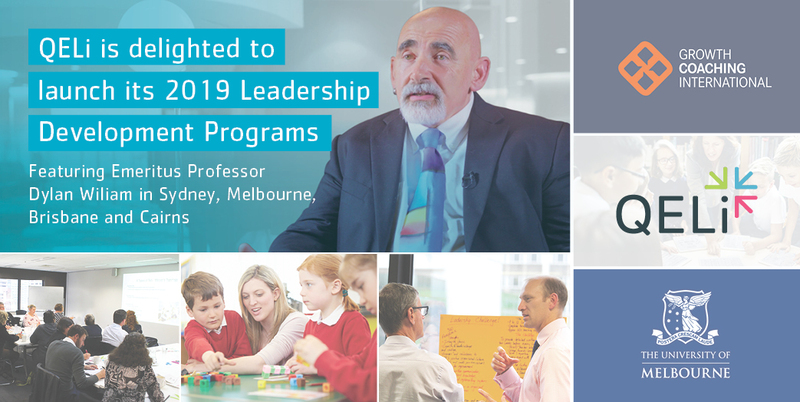 In addition, we will welcome Emeritus Professor Dylan Wiliam, Educational Assessment, University College London back to Australia in 2019, hosting one-day thought leader events in Sydney, Melbourne, Brisbane and Cairns. QELi Chief Executive Officer, Neil McDonald, says QELi, a not-for-profit institute, is committed to developing and delivering high-quality leadership and capability programs that are grounded in the latest evidence-based research and provide significant impact on learners’ leadership practices. “I am excited to launch QELi’s 2019 program offering and announce our new partnerships with Dr Jim Knight and GCI, the Melbourne Graduate School of Education, and Associate Professor Annette Hilton and Dr Geoff Hilton,” Mr McDonald said. 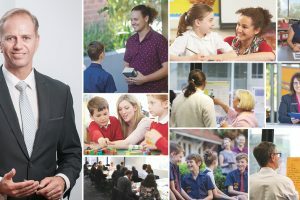 “We are proud to be able to bring such highly regarded thought leaders and evidence-informed learning experiences to schools and systems in Queensland and across Australia, and in turn, we are humbled that such experienced and world-renowned leaders have chosen to work with us,” he said. 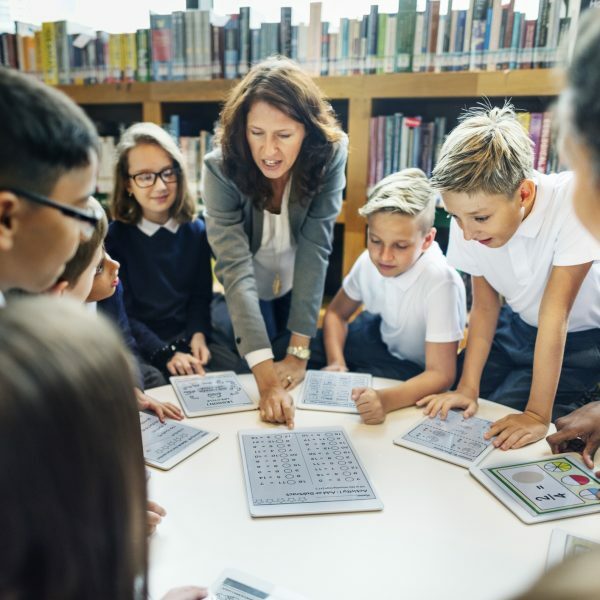 There is growing interest in the effectiveness of practitioner research for promoting teachers’ professional learning and evidence to suggest that teachers who participate in practitioner research exhibit professional growth in terms of research skills and other professional outcomes. 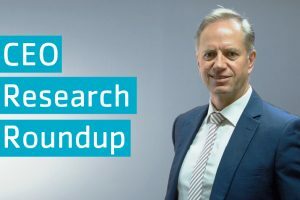 “Launching our new Practitioner Research Program demonstrates QELi’s agility to respond to the latest research trends and through this program educators themselves will be able to enhance their own capacity to engage with research as a critical consumer and in research as a practitioner researcher,” Mr McDonald said. QELi looks forward to continuing to collaborate with educators across Australia in 2019 to support initiatives to lead school improvement. 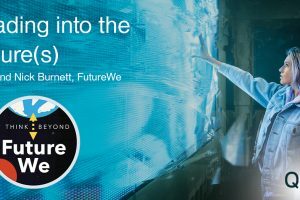 Emeritus Professor Dylan Wiliam will discuss formative assessment and why it needs to be the priority for every school. He will offer practical techniques for implementing formative assessment and will discuss how to sustain the development of formative assessment with teacher learning communities. A special extension workshop where Emeritus Professor Wiliam will further explore the essence of effective teacher leadership. 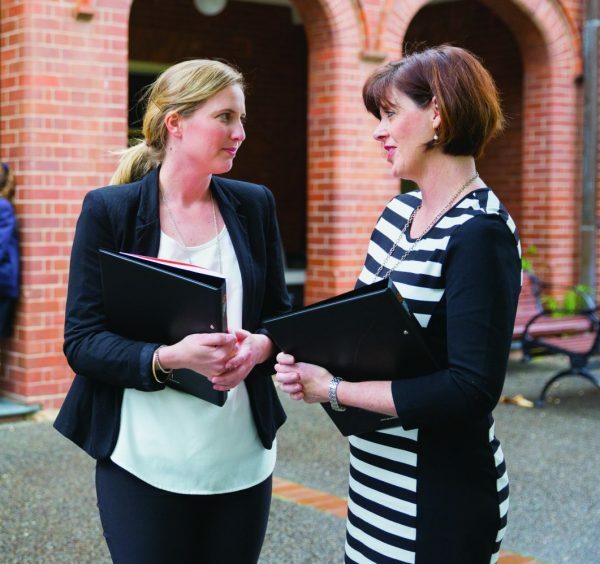 The Professional Certificate in Instructional Leadership comprises two core subjects (25 percent) of Melbourne Graduate School of Education’s Master of Instructional Leadership. The Practitioner Research Program explores the knowledge and skills to design, enact and disseminate robust research relevant to school practice and at the completion of the program, participants can consider preparing a written article for submission to an educational journal. The Impact Cycle supports educators in establishing coaching cycles that lead to improved teaching and students learning. The program content has been developed for an Australian audience by Growth Coaching International (GCI) in conjunction with Dr Knight. Leadership Development Pipeline Programs offer educators the opportunity to pursue a progressive continuum of leadership development learning. A suite of growth-coaching programs for individual and whole-school professional development, delivered in partnership with Growth Coaching International. Suitable for: all educators, from teachers to principals and system leaders, and corporate services and school support staff. Programs in leading change, instructional leadership, promoting trust, health and wellbeing and developing high-performing teams. We specialise in creating tailored professional development solutions to support the needs of all schools and systems. Programs are highly collaborative, involving the school in co-planning and even co-presenting and can be delivered on campus at a time during the term that is suitable for you and your team. 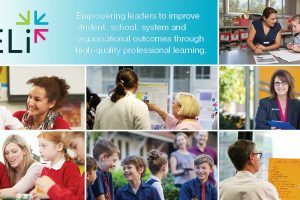 Contact us to receive QELi’s 2019 Prospectus and to discuss how we can collaborate to lead school improvement in your context.